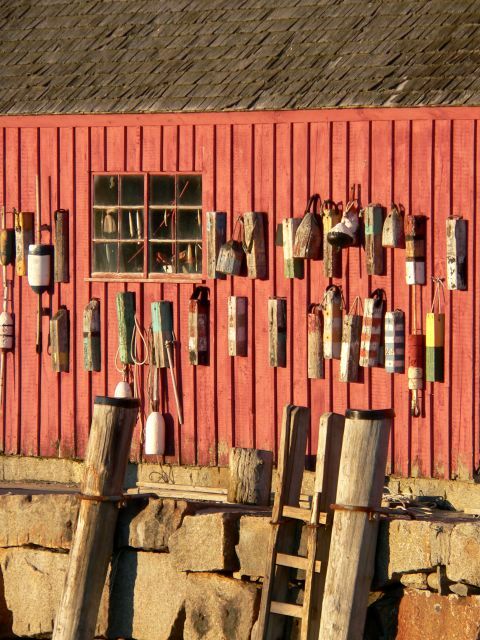 Ghostweather R&D Blog: Motif #1, a red shack in Rockport. This is "Motif #1" in Rockport MA. I was here a few weeks ago with my brother and sister-in-law. 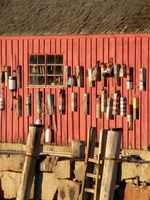 We recognized it immediately from a description in the guidebook, and then we said it as often as possible: "That's nothing like Motif #1." "Here's a house that could be Motif #2." "Maybe they have postcards of Motif #1." Here's a webpage explaining how it go its name. It had something to do with the French!